The World Bank is a vital source of financial and technical assistance to developing countries around the world. Our mission is to fight poverty with passion and professionalism for lasting results. To support its mission, the World Bank publishes and disseminates a large selection of knowledge products in print and electronic formats. 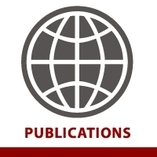 Our publications cover a broad range of economic and social issues, including development policy, finance, health, education, environment, trade, poverty, climate change, and globalization. World Bank online resources offer access to the most reliable research on economic and social development to millions of users around the world. The World Bank eLibrary, our online collection of nearly 6,000 formal publications, includes books, reports, journals and policy research working papers, as well as all new titles as they are published. World Bank knowledge products are available for free on the World Bank website, in the Open Knowledge Repository, through the Google Books program, at Public Information Centers, and at Depository Libraries. World Bank Publications products are for sale through a variety of other sources, including international distributors, through content aggregators, as well as the World Bank Publications website. We are committed to providing our customers with first-rate service and excellent value. We welcome and encourage your comments about this page as well as our products and services.